It's a great day! I Know it! I heard this one-liner, power sentence at a couple of seminars or speaking events, after which I adopted it and chose to use it as an opener for every of my speaking engagements because of how inspiring or motivating it can be. 1. 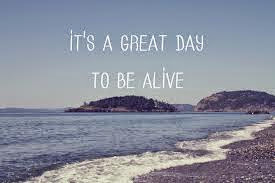 It's a great day because we are alive. The fact that we are living souls today is good enough reason that today is a great day. No matter your situations, no matter the circumstances surrounding you being alive means you own the day, it's your day and because there is greatness in you, It can never be less than a great day! Step into it there is hope for you again today to become all you have ever dreamed of. It's a bright and wonderful day! 2. It's a Language of Gratitude. Recently I have read many things on gratitude. The last book I read by Brian Tracy has a strong section on gratitude, the best-selling author opined that one of the highest form of habit you can develop is having the attitude of gratitude. Whatever you do not appreciate will always depreciate, When you appreciate God for your day it can never go wrong.Never miss an opportunity to appreciate the gift of a wonderful day. It's a great day! 3. It's a Powerful Affirmation: Affirmations are powerful confessions or self talk. It's a way of speaking positively into your day. Words are seeds and the kinds of words you sow into your day affects your attitude and the returns on your efforts in the whole day. 4.It's a magical sentence of an optimist: Never mind if I called a simple sentence magical, but sincerely I have probably seen this sentence give people a boost of hope and positive outlook on any situation. I was recently a facilitator at a technical event and interestingly I had make my first slide the illustration of the sentence "IT'S A GREAT DAY!" 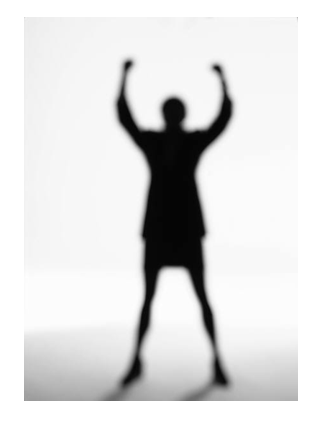 It was an image of an enthusiastic lady against a white background. Funnily I hadn't gone midway into the whole presentation when the projector system provided started having some issues. We eventually used less of the slides and more of the magnetic board for the rest of the training and above all we had a great time. One underlining lesson we all learnt aside every other thing was that no matter what, It's still a great day. 5. It's a Recipe for a great life: I always believe our lives are measured in bundles of time. This is obviously shown in the fact that hours roll into days, which in turn roll into weeks; months and years in the long run. So the secret to living a great life is to start having a great day; And to have a great day create great moments throughout your day. Great moments; are a prerequisite to a great life. Whatever you do and wherever you go, remember no matter what happens, It's always a great day!